It all started in the Philippines, where I spent the first 17 years of my life. I grew up in Apalit, Pampanga, a small town in a province north of Manila. My parents were strict, enforcing a sole emphasis on education so my childhood consisted of 12 years at a private Catholic school where students were required to wear a uniform. Books became my vehicle for transportation, taking me beyond the confines of school and my parents’ rules. Dressing up became a form of expression, as I tired of the white collared blouses and navy blue pleated skirts we were required to wear daily. A few days after I turned 17, my family moved to the Bay Area in California. 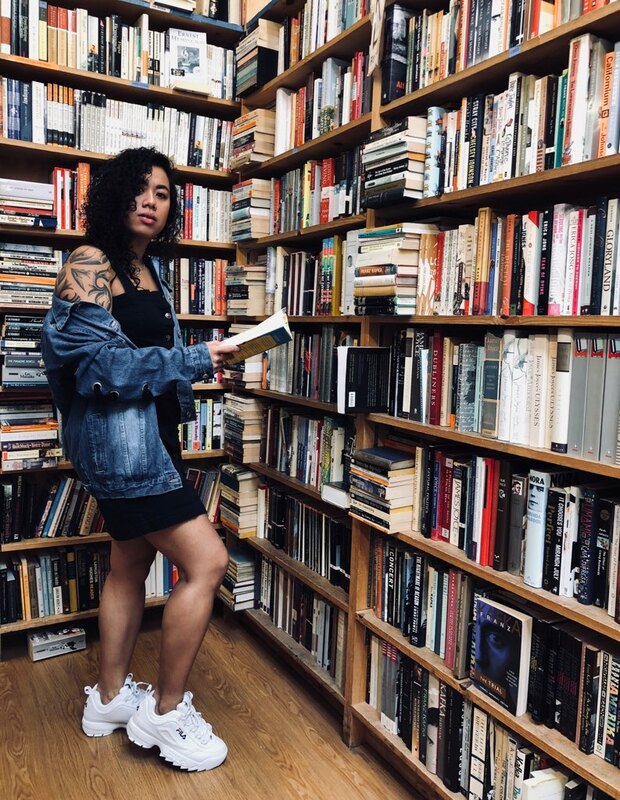 The Bay nurtured many of my interests but it was only in the last year that I’ve finally been able to hone in on the two things that speak to me the most: fashion and literature. Booklook, a play on the word lookbook, started as a way of capturing my internal temperature, which is almost always influenced by whatever book I’m reading. Read books, serve looks. Join me.